Andrew Smith worried about the casino nestled outside Green Bay when he became the city’s police chief three years ago. Smith was returning to the city after a 27-year stint in the Los Angeles Police Department, and he feared the casino could breed crime and stir drunken behavior. In Beloit, city officials are echoing Smith as the Ho-Chunk Nation’s proposal to build a massive casino and resort in the city reaches the 11th hour, with the U.S. Bureau of Indian Affairs reviewing the tribe’s application to transfer about 33 acres into the federal trust. Officials say they’re not worried that crime would surge. The tribe’s proposed $405 million development off Interstate 90/39 a mile north of the Wisconsin and Illinois border would create jobs, grow the local economy and mark Beloit as a tourist destination, they said. The casino would be the second-largest in Wisconsin with about 2,200 slots and 50 tables. Potawatomi Hotel and Casino in Milwaukee would be the only casino larger in the state. If the project comes to fruition, Beloit would join about 460 communities across the country—including about 19 in Wisconsin—with casinos. Collin Price, a public relations officer for the tribe, said the federal Bureau of Indian Affairs could hand down its decision this spring. If the bureau approves it, Gov. Tony Evers would have to sign off for the project to proceed. A spokeswoman wrote in an email to The Gazette that Evers “will be carefully reviewing the application and listening to all sides involved with the issue to ensure fair consideration,” though he has previously said he would support it. In anticipation of the decision, The Gazette spoke with law enforcement officers in communities with casinos in Wisconsin and elsewhere. Most agreed with Smith, saying casinos don’t appear to bring more crime than other large-scale developments. Paul Lauria is the police chief and director of public safety in Mount Pleasant, Michigan, where a sprawling, 210,000-square-foot casino sits on the outskirts of the city about 150 miles northwest of Detroit. Lauria said his department doesn’t have jurisdiction over the casino. The Saginaw Chippewa Tribe has a federally authorized police force that patrols the resort and the Isabella Indian Reservation reservation, which hems in the city’s northern perimeter. Casino visitors often spill into the city of 26,000 and patronize local businesses, Lauria said. He admitted that occasionally can be problematic, with cash-strapped visitors ordering meals or fueling up their cars with no money. Lauria said a few banks have been robbed. 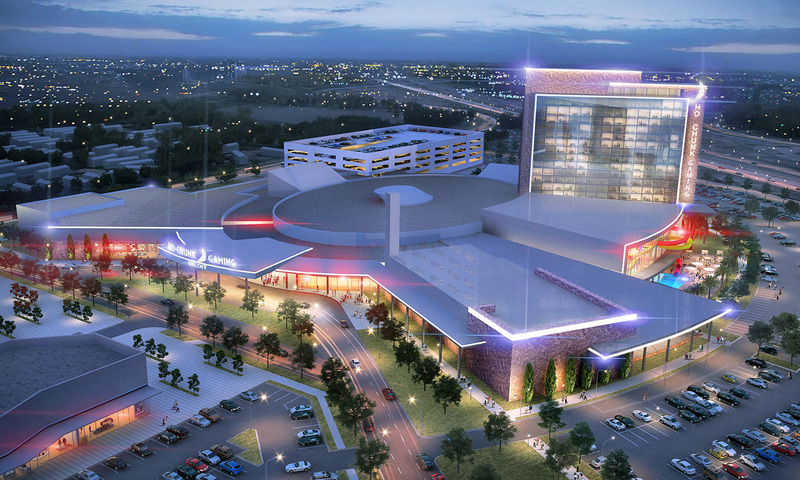 In lieu of property taxes, the tribe donates 2 percent of the casino’s electronic gaming winnings to the city for programming, equipment and infrastructure improvements. Lauria said those payments and the overall contribution of the casino “by far” outweigh any unintended consequences or criminal mischief. Lauria said Central Michigan University in Mount Pleasant creates a similar dynamic. The university naturally generates some criminal activity by attracting more people, he said, and some of them may bring personal baggage and make mistakes. He said the same could be said for a concert in a cornfield. “Isn’t that going to bring a certain amount of crime?” Lauria said. In Bangor, Maine, a city of about 32,000, law enforcement officials cite similar experiences with the Hollywood Casino, which is planted on Main Street along the Penobscot River. The local police department has not seen a huge spike in calls to the casino, Bangor Police Department Sergeant Wade Betters said. Occasionally, the department will respond to a car accident in the casino’s parking garage or intoxicated driving and trespassing issues there, Betters said, but it’s relatively infrequent. “I can honestly tell you that they’re one of the very few establishments which sell alcohol that are proactive in notifying the police should one of their patrons leave and drive,” Betters said. In Beloit, Zibolski said the Beloit Police Department would have jurisdiction over the casino and would be able to make arrests there. Price said law enforcement jurisdiction at casinos differs with each state, but the tribe will have a security force, and any law enforcement agent with arresting authority in the state could make arrests in the casino. In recent months, some Beloit residents have raised questions about the tribe’s proposal. A citizens group held a public meeting in December to scrutinize the project and the city’s handling of it. A handful of residents spoke out against the casino at the bureau’s public hearing on the draft environmental impact statement Dec. 11. Some opponents say the casino could foster addiction in a city struggling with poverty and crime. In Black River Falls, City Administrator Brad Chown didn’t hold back praise when asked about the Ho-Chunk Nation’s casino there. He said it’s a “huge employer” in Jackson County, helping mitigate poverty and drive economic development. The Ho-Chunk Nation’s tribal office is located in Black River Falls, and Chown, who worked at the local casino in the marketing department for 10 years, said three of the city’s eight council members are Ho-Chunk Nation tribal members. Price, who is a former Wisconsin State Patrol officer, said the nation has imposed a $10 an hour minimum wage for its employees. He said the jobs offered at the development would be diverse, including cooks, HVAC engineers, accountants and marketing professionals. Price said the tribe works with the Wisconsin Council on Problem Gambling, a non-profit agency providing resources, a 24-hour hotline and public awareness on gambling disorders. Rose Blozinski, the group’s executive director, said Ho-Chunk Nation tribal members sit on the council’s board. She said the agency has a “very good” relationship with the tribe and that they are active in developing a responsible gambling program. Blozinski said the agency receives more calls about casino gambling to their hotline than other types of problem gambling. In 2017, Blozinski said the agency received 12,647 calls. That number swelled to 13,869 in 2018. It’s unclear if compulsive, pathological gambling addictions—which afflicts 1 percent to 3 percent of gamblers—are more common in communities with casinos, Blozinski said. Those with gambling disorders may frequent casinos within a 100-mile radius of their homes, or some may gamble locally.